For the past few years, we've been to our friends' at Cotna for Earth Hour. We have always shared a meal & when the weather's been good - we've also enjoyed a bonfire. Bebe is here, so in less than an hour - we shall be eating a candlelit meal cooked on the woodburner. 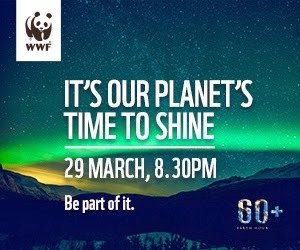 Is anyone else switching off for Earth Hour? If so, we'd love to hear about your evening. I had a couple of friends over for Earth Hour, we walked through the forest in the dark, then spent a candle lit evening in the cottage, kept warm by the stove and open fire, and cooked a meal on the woodstove.